Ladies, You’re A Divine, Precious Being! How to set your inner divine self free! 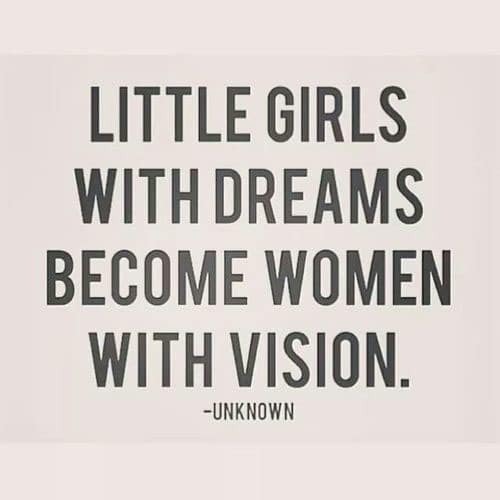 While we refrain from using the term ‘Goddess’, we do like to encourage empowerment and confidence in women. Empowerment isn’t about women’s liberation or devaluing men. It’s not about belittling the family unit and traditional lifestyles, or inspiring aggression. Neither is it about feeling we are ‘above’ others in some way, or turning away from a conventional female societal role, necessarily. Female empowerment is about BALANCE. It’s about a comprehensive enjoyment of our femininity and womanhood, whichever path we select. In recent decades, women were nudged towards competing in a man’s world, by emulating men – the large shoulder-pads from the 80’s, corporate aggression or taking care to be seen as a ‘strong woman’, and challenging/ attempting to change the sexual benchmarks and archetypes under the guise of being ‘modern’. As has been done throughout history in order to control or moderate female behavior and achievements. Thankfully females are now seeing the folly in this conduct, and in allowing themselves to be dictated to as to what makes them the ideal female… Whether physically, emotionally, career-wise or otherwise. Women are learning to embrace their own power, as women, not as women trying to be like men. Cultures have long undervalued females and the female body, simply because they are female, and misunderstood. Childbirth, menses and menopause are all too often considered negative topics requiring medical intervention and attention. They are often seen as a disease, when in fact they are miraculous, beautiful things that only women can experience! Young girls are often conditioned to accept that they have limits, are less valuable or important than men, and that abusing herself and others is acceptable. Often considered merely a object for sexual gratification or less, women are generally conditioned to believe they are nothing. 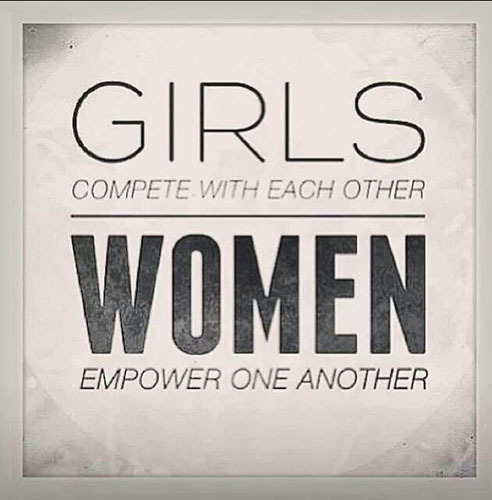 Females see themselves as competing with each other, as opposed to celebrating the beauty of being female together, and assisting each other in being successful. Women’s empowerment is about defying that view, deeply valuing the female form and functions, as well as female intuition. It’s about living cheerfully and authentically. Women can look to other accomplished women for inspiration, and understand that true strength includes lifting others to reach their potential also. An empowered woman, as cliched as that phrase is, is not limited by negative inner dialogue. She cherishes her positive attributes, and graciously accepts her beloved flaws. :) She knows we should be happy with what we have, while working for what we want – we are always a work in progress. Other peoples’ opinions of her are ultimately irrelevant, and don’t affect her own confidence levels, because she doesn’t live for others’ approval (within decent moral boundaries). She loves her curved belly or strong thighs, and she understands at a deep level that even as she strives to maintain and improve her body, to treat it with respect and maintain a strong, healthy constitution, that a little extra weight does NOT change who she is, what she has to offer, or how she accepts and cherishes herself. She is the same lovely, fascinating soul, now living in a slightly more curvaceous temple…. If her body has changed because of childbirth or weight gain or loss, those changes need to be considered a celebration of her survival, not seen as a loss of some kind, according to the airbrushed fantasy ideals of a media-obsessed society. There are plenty of men who are not so shallow, and who deeply accept the women they love, regardless of her outer changes (within healthy reason). Our menstrual cycle is supposed to be a time of relaxation and rest, to pamper, nurture and care for ourselves; a time of introspection. Beginning a the cycle is a privileged rite of passage that young ladies should celebrate. However they can be brainwashed to believe it is shameful, dirty, disgusting. Some females like to avoid the subject altogether like it doesn’t exist, having been conditioned since childhood that it is unacceptable to discuss her natural bodily functions. Your female body is a beautiful and incredible gift, that moves you through the world with power and strength. It is not anything to be ashamed of. 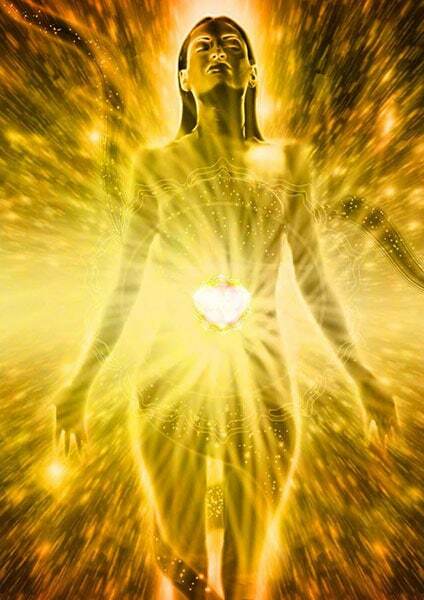 Harnessing her emotional power while bleeding is a powerful way for women to reclaim their innate wisdom, live to her full potential and highest vibration as a woman, and to guide other females to be self-confident and true to themselves. We want ourselves and our young women to build inner confidence, to trust our inner guidance, to promote self-care and creative expression. And ultimately, to enjoy a miraculous and fulfilling life! By referring to ourselves as ’empowered’, and ‘divine’ (since we are all part of the universe and made up of the same matter that creates the stars! ), you are sub-consciously reinforcing your powerful, unique beauty, both inner and outer. Inner dialogue or ‘self talk’ is extremely effective. Speaking to yourself in the mirror can be a very powerful way to be ‘your own best friend’. On your own side, as it were. To enjoy your own company and know you have yourself to rely on, is a comforting and supportive feeling. And inner dialogue tends to have a snowball effect. Which makes it a really effective tool for developing your own personal power and direction. A positive inner voice can propel you towards positive choices and a positive life. Unfortunately many people’s inner voice is negative; they may not even realize it, which is why positive inner dialogue is so important to actively establish. Although some people truly work hard to improve their situation and relationships, they can be literally sabotaging their own efforts, and wondering why they seem to be on a treadmill going nowhere. The solution for most difficulties in life lie not in outside sources, but within yourself. We have access to this IMMENSE power of the universe. And when you understand how to harness it, nothing is beyond your reach. Far too much of our female power is lost/ given away because our collective inner dialogue is habitually negative. Very often we don’t even realize it; and we need to begin changing it, one woman at a time – this movement has already begun in fact, decades ago. Speak with yourself as you would a close and beloved friend. Consider when you say things about yourself – would you speak to someone else that way? Would you say to a young girl that she’s hopeless or stupid, ugly or fat, has no future or talent? No, you’d encourage her! You’d day something like, “Agreed, it wasn’t perfect, but you can do even better next time, now you have this knowledge and experience. It’s great that you made the effort!” or perhaps “You look gorgeous to me, because I love you. You’re one of the most attractive, unique girls I know, because your soul is beautiful”. Express to yourself the same kindness and courtesy that you’d show to others. What makes you think it is ok to treat yourself negatively? That’s somebody’s sister/ daughter you’re talking to in the mirror! ;) Learn to be your own best friend, to have yourself on your side. And nothing in the world will phase you ever again. There will be nothing you can’t achieve. Like any building process, it’ll take time, but it’s worth it. Keep building. A building is erected one brick at a time. A bodybuilder’s body is build one workout at a time. Weight loss, same deal; one workout/ meal at a time. A baby grows one day at a time. And your self-love and self acceptance will grow one mirror-talk at a time too. :) One decision at a time, one day at a time, until eventually you will feel the solid foundation under your feet of self-support. It’s a beautiful thing. Recognize when you are going into a negative thought pattern, and stop yourself. Choose to be supportive of yourself. Replace your negative thoughts and feelings with these positive, empowering thoughts, in the mirror and throughout the day, and watch your life automatically change before your eyes. This is how you set your inner divine self free, and allow her to be as powerful and effective as she deserves to be – every woman is a divine being. You just have to believe in You, and set yourself free!